A UK court, on Friday, said it will set a date for the final verdict in the Vijay Mallya extradition case on 11 July. The announcement, by the Westminster Magistrates' Court in London, came after it accepted evidence against the embattled liquor tycoon, who was back in court for his trial. The UK court, which admitted evidence from the Central Bureau of Investigation (CBI), did not receive evidence related to alleged money laundering, reported NDTV. Chief Magistrate Emma Arbuthnot of the Westminster Magistrates' Court, who considered some additional material sought from the Crown Prosecution Service (CPS), arguing on behalf of the Indian government, and heard arguments, said the court will decide on a date for the final verdict in the case on 11 July. If the judge rules in favour of the Indian government, the UK home secretary will have two months to sign Mallya's extradition order. However, both sides will have the chance to appeal in higher courts in the UK against the Magistrates' Court verdict. 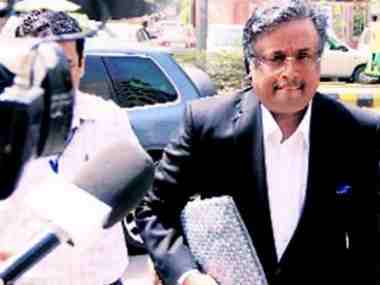 Earlier, in court, Mallya's lawyer, Ben Watson, reportedly sought more time, and a fresh date in July, to examine the Indian government's allegations. 62-year-old Mallya, wanted in India to face charges of fraud and money laundering amounting to around Rs 9,000 crore, is currently on a 650,000 pounds bail, post his arrest on an extradition warrant by the Scotland Yard in April last year. His bail expires on 11 July. The CPS has argued that the evidence they have presented establishes "dishonesty" on the part of the businessman and that there are no bars to him being extradited from the UK to face Indian courts. Mallya's defence team has deposed a series of expert witnesses to claim he had no "fraudulent" intentions and that he is unlikely to get a fair trial in India. Friday's hearing comes days after the Indian government's High Court appeal against a previous Westminster Magistrates' Court extradition ruling that had been denied. 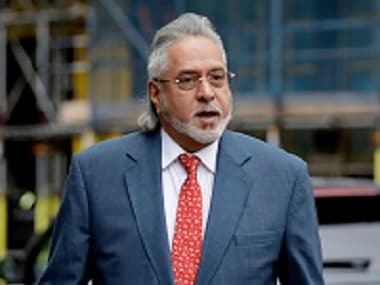 At the last hearing in the Mallya case on 16 March, the judge had noted that it was "blindingly obvious" that rules were being broken by Indian banks which sanctioned some of the loans to the erstwhile Kingfisher Airlines owned by Mallya. Mallya's counsel, Clare Montgomery, had also argued that evidence which was claimed as a "blueprint of dishonesty" by the CPS was, in fact, a privileged interaction between Mallya and his lawyer about "legal advice in clear contemplation of litigation" and hence should be inadmissible. The trial, which opened at the London court on 4 December last year, is aimed at laying out a prima facie case of fraud against Mallya, who has been based in the UK since he left India in March 2016. It also seeks to prove there are no "bars to extradition" and that the tycoon is assured a fair trial in India over his now-defunct Kingfisher Airlines' alleged default of over Rs 9,000 crore in loans from a consortium of Indian banks.